Good Morning everyone! I just finished reading my emails and looking through Pinterest posts.. my.. .it's so amazing what people find out there in cyber-world. Whew!!! 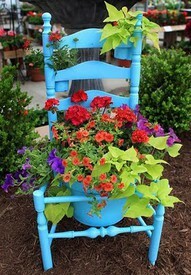 I have always loved these garden chairs... here's the deal... I hate being out in the hot sun! I have NO TALENT for growing any kind of plant... they simply die (unless they are silk plants/flowers). You see the bright green leaves? Those are potato vines and I LOVE THEM! They are so pretty in color and brighten up any display! When we were kids... living in the country... on a small farm... we had a super lilac tree in the back yard... near the pear tree... beside the outhouse! Yes... when I was a little girl... we used an outhouse! I can still remember it... nasty!! The happiest day in my mom and dad's life was when we had an inside bathroom put in the farmhouse. No more trucking outside! aaahhh...life was good! 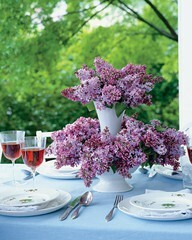 Anyway... back to the lilac tree... Our house was always full of flowers. We would pick the blooms from the tree all summer long... until the only ones left were up high.. the ones we couldn't reach. They smell so lovely. 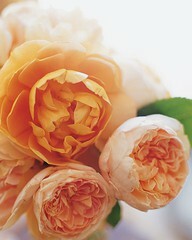 Then we have these blooms... each petal so perfect. 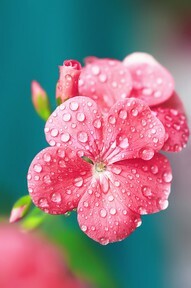 I wonder how and why God decided to give us flowers? That's on my list of questions for him too (when I'm in Heaven). 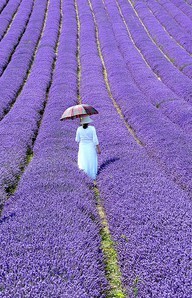 Can you imagine walking through a lavender field. Wow... I'll bet that's a strong smell and I'm wondering if you can smell it for miles and miles. I'll have to "google" to see where they grow lavender... I have no clue!! 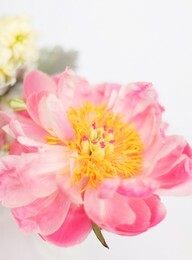 Then we have the "interior" of the flower... so tiny, and sweet... how did "He" create such a thing of beauty? Then when you add in the weather elements... it simply makes the blooms even more unbelievable... I can surely understand why people love to garden and be with nature. Can't you? It's like an artist palette... where I love to be around beautiful fabric and threads... the gardener loves the colors of the flowers and plants. 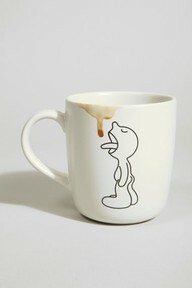 This is more like me this morning... COFFEE... give me COFFEE!!! I simply ADORE this cup! Wish I knew where to buy them... 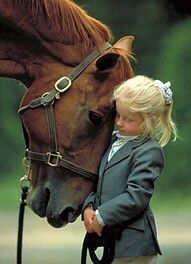 I would get one in a heartbeat! I'm sewing today.... can't wait to get a few unfinished projects ---- FINISHED!!! It's such a great feeling. Have a super day... have fun... enjoy life today. STOP and smell the roses!